Some children are more excited to get braces than others, this much is true. At I Song Orthodontics we treat patients of all ages, helping them set the foundation for a life of optimum oral health, which study after study is finding to be linked to our overall health. And braces have come a long way when it comes to comfort and discreteness. Childhood braces are a great way to set a smile straight, but also a great way to embed a strong at-home oral health routine at a young age. Also, the many benefits gleaned from wearing braces — patients don’t want to just throw those results out the window. Once the braces come off, that person who wore them is more likely to take excellent care of their smile to experience lasting results from that point forward. 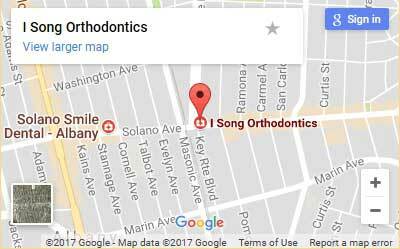 We provide orthodontics for kids at I Song Orthodontics, realizing that kids and teens are the majority of our patients who wear braces. We have a ton of options for the distinct needs of each of our patients. We have Metal Braces, which are the most common form of orthodontics — they’re made from high-grade stainless steel. Metal braces in this day and age are far more comfortable and less cumbersome than braces in earlier decades. Clear Braces provide a less ostentatious way to straighten a smile. These are made from clear, translucent materials and are popular for their cosmetic appeal. The one drawback on these is that clear braces are less durable than their metal counterparts. Self-Ligating Braces have numerous advantages over both metal and clear orthodontics. Due to their strong, mechanical base bonding, solid walls, and their slide mechanisms, self-ligating braces provide more controlled tooth placement, more precision, and faster results. They’re also easier to clean and maintain! Invisalign is another popular option for children — it’s a system made up of translucent overlay templates (also referred to as aligners). We switch these invisible aligners out every 2 weeks or so, straightening your smile over time. If you have any questions about our braces for kids, contact I Song Orthodontics today to schedule your consultation.